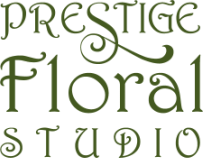 Welcome to Prestige Floral Studio, where we are committed to providing quality services, and the freshest products in the latest trends for your special occasions. out of this world experience to embellish your most important events. Our attention to detail, creativity and vision will exceed your greatest expectations. Our staff is most eager to assist you in any way you may think of. Thank you for taking the time to browse our site, and we hope to meet you soon.